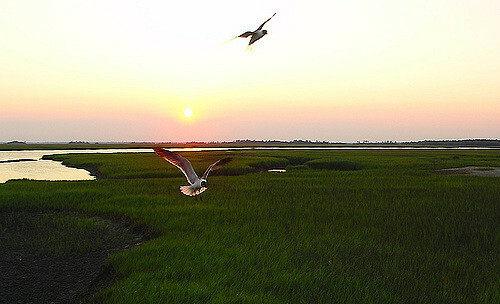 The coastal islands of South Carolina include Atlantic barrier islands as well as inland islands formed by surrounding marshes, rivers, estuaries and inlets. Some lie within the city limits of Charleston and Beaufort and have an urban character. Some have been developed with tourism in mind, while others remain private gated communities. 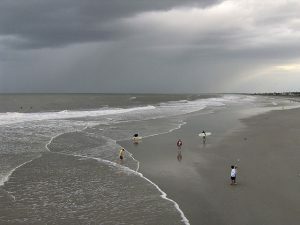 The group known as the Sea Islands begins north of Charleston with Bull’s Island, which is part of Cape Romain National Wildlife Refuge. Bull’s Island is undeveloped, but is serviced by a ferry and is popular for Boneyard Beach, whose ‘bones’ are trees that have succumbed to erosion and sea water. Continuing down the coast, the next island is Isle of Palms. Both Bull’s Island and Isle of Palms are separated from the mainland by the Intracoastal Waterway, which is a 3,000 mile long waterway, created in 1912 that extends from Boston all the way down the Atlantic Coast and around the Gulf of Mexico to Brownsville, Texas. It is comprised of natural water bodies connected by man made canals and was constructed in an effort to create a route that was safer and easier than the open sea. 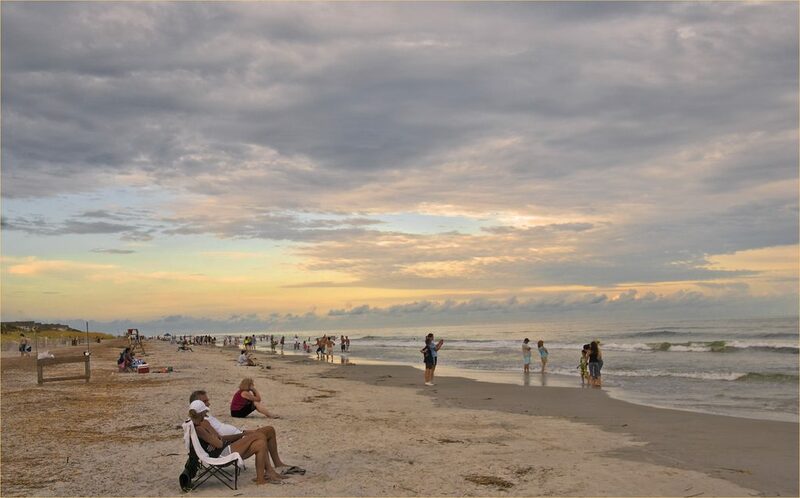 Isle of Palms has six miles of white sandy beaches, is home to the Wild Dunes Beach and Racquet Club and has year round residents as well as numerous vacation homes. 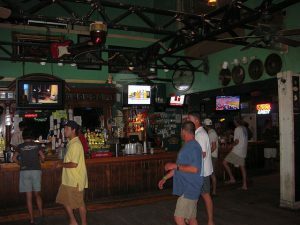 Beach volleyball is popular here, and tournaments are hosted at the Windjammer, a bar/restaurant and live music venue. (I used to go there a lot when I was living and working in Charleston.) The beach is great for shell collecting and there are numerous little bars and beachwear shops. On your way to Isle of Palms from Charleston, you will pass over Sullivan’s Island. A part of the Charleston metro area, Sullivan’s Island was the largest slave port in North America and was the point of entry for 40% of all slaves brought into North America. In 1776, it was the site of a major battle of the American Revolution. Originally called Fort Sullivan, the fort built to guard the city of Charleston was constructed of palmetto logs. The palmetto wood was soft, did not crack upon impact, but is said to have caused the cannonballs to bounce off the walls. After a day long battle with British ships, Commander William Moultrie and his men drove the British out of the area. 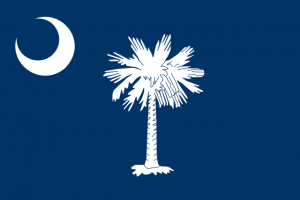 The fort was renamed after Moultrie, South Carolina adopted the crescent flag designed by Moultrie as its state flag, later adding a palmetto tree in reference to the fort, and Carolina Day is celebrated every year on June 28th commemorating the Battle of Sullivan’s Island. 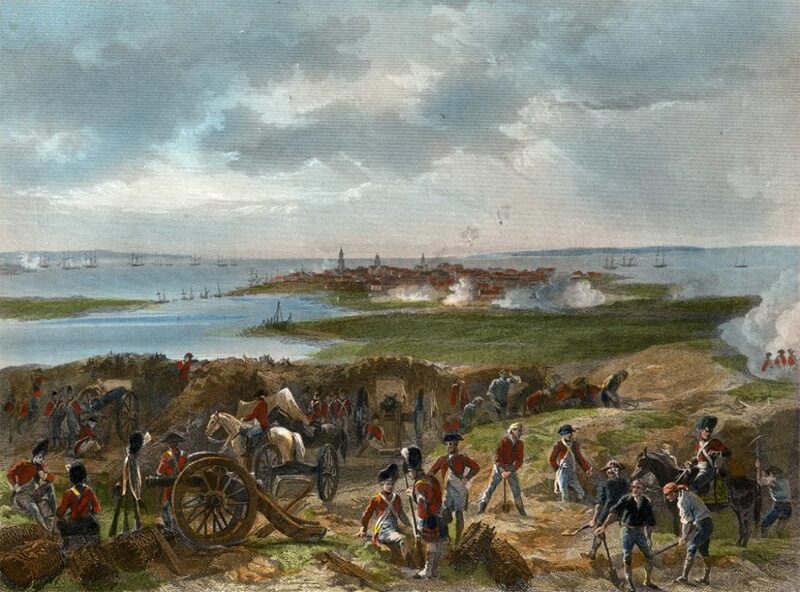 The author Edgar Allan Poe was stationed at Ft. Moultrie from November, 1827 – December, 1828 and referenced the island in his short story The Gold Bug. The novel Beach Music, by Pat Conroy is set on Sullivan’s Island as well. Fort Sumter, where the first shots of the Civil War were fired is located south of Sullivan’s Island in Charleston Harbor. On the other side of the harbor is James Island, a part of urban Charleston and separated from the city by the Ashley River. Old cotton plantations, civil war fortifications and 100 year old oak trees are all to be found just a few minutes out of Charleston. 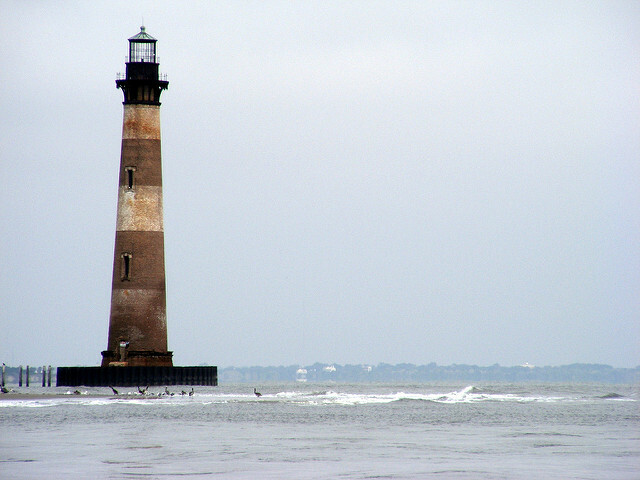 Folly Island and its popular Folly Beach derives its name from the old English word for dense foliage. Nicknamed the ‘edge of America’ by locals, it is one of the top spots for surfing on the east coast and offers surf, river, pier and deep sea fishing. 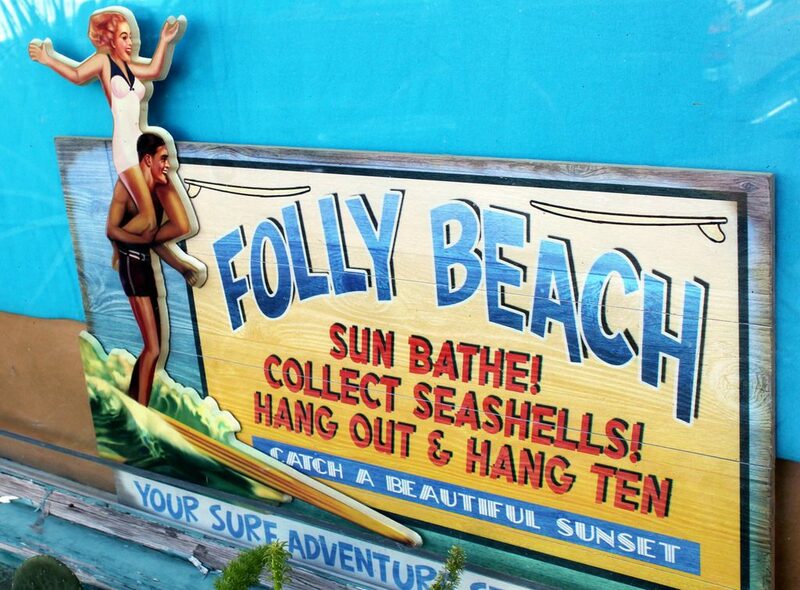 A vibrant beach community, Folly has numerous shops, seafood joints, bars and vacation rentals. Morris Island lighthouse rises from the water at the north end of the beach. Although the land it stood on has been claimed by the sea, efforts are being made to preserve the lighthouse and ‘Save the Light’, an organization dedicated to restoring and protecting the lighthouse is in its third phase. John’s Island is the largest island in South Carolina and the fourth largest on the east coast. Located inland from James Island, it is also a part of the Charleston urban area. The Stono River and Intracoastal waterway separate John’s Island from James Island. The site of the fierce Battle of Bloody Bridge, which occurred in July, 1864, is just north of Charleston Executive Airport. During three days of fighting, a force of around 2,000 South Carolina men successfully drove off a Union force of four times as many men. There is a yearly reenactment of the battle at Legare Farms. Info at battleofchas.com As for Charleston Executive Airport, I have a fond memory of landing there in a private plane by mistake in the night after a long flight from Baltimore. It was my first trip to Charleston and the airport gates were locked up with us inside. After finally reaching our friend who was supposed to come get us, but didn’t due to a misunderstanding, we packed our things up again and flew to Charleston International, making for a long night. About one third of John’s Island is a part of the city of Charleston. It is also heavily populated by wildlife such as deer, alligator, bobcats and wild hogs. The rivers and marshes offer great fishing, shellfish and dolphin and there are hundreds of bird species. 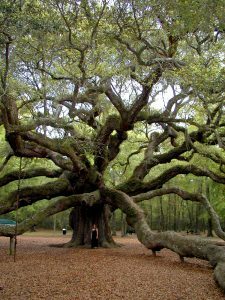 A popular attraction is the Angel Oak, which is 65 feet tall and has a circumference of 25.5 feet. It’s age has been estimated at anywhere between 400 and 1500 years old. Wadmalaw Island is inland from John’s Island and is the location of the Charleston Tea Plantation, owned by Bigelow Tea Company. It is open to visitors and offers factory and trolley tours. According to it’s website, it is the only tea plantation outside of Asia, Africa or South America. Kiawah Island is for the most part a gated beach and golf resort. Named after the local Kiawah Indians, it was settled by English colonists in 1670. From 1772 until 195o it was owned by the family of Arnoldus Vanderhorst, the seventh governor of South Carolina. It has changed ownership numerous times since then, but development really took off when it was purchased by Kuwait Investment Corporation in 1974. The town of Kiawah was established in 1988 and before long, the island boasted five legendary golf courses designed by five legendary architects. The Ocean Course, designed by Pete Dye in 1991, is one of the toughest on the east coast. The Ryder Cup, World Cup of Golf, PGA and Senior PGA Championships have all been played at the Ocean Course making it the fourth course in history to host all four. Perfect for nature lovers, Kiawah also offers hiking and biking trails, boating and fishing, the Heron Park Nature Center, Marsh Island Park with its lookout tower, and sandy beaches. 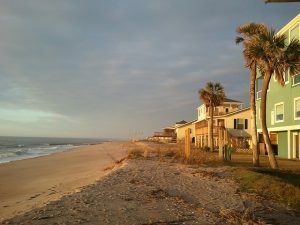 Beachwalker County Park was named the tenth best beach in the USA by Forbes Magazine. The luxurious Sanctuary Hotel and the Andell Inn offer the ultimate in Southern grace and charm and villa rentals in all categories are offered for rent. Moving down the coast, the next island is Edisto Island. Although there are some private plantations, it has been developed as a tourist resort destination. Family oriented and largely uncommercialized, Edisto has plenty of nature to offer. Ancient oaks, shaded hiking trails and excellent beaches are all to be found. Edisto hosts sea turtle night walks in June and July. Turtle Fest, which celebrates the return of the turtles, takes place at Edisto Beach State Park every June. Further down the coast in Beaufort County, we find Hunting Island, which is a 5,000 acre state park. 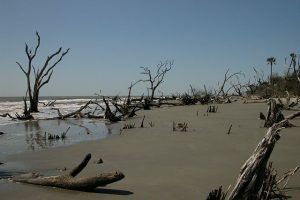 Undeveloped Hunting Island is one of the most beautiful of the Sea Islands. It is the state’s most popular state park and has a lighthouse that is open to visitors, a visitor center and nature center numerous trails and a four mile long pristine beach. 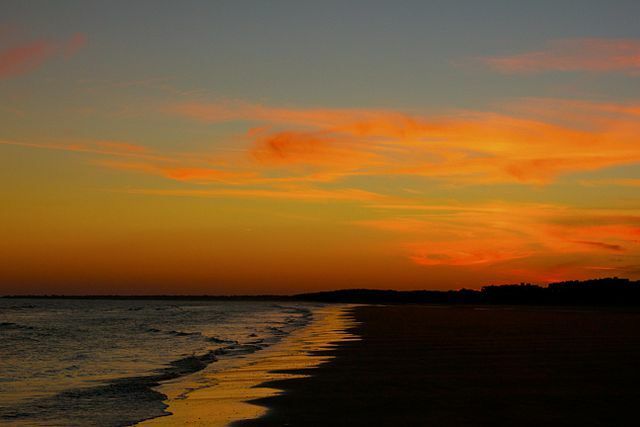 Fripp Island is the most seaward of the Sea Islands. It is named after Captain Johannes Fripp, a privateer who was charged by King Charles of England to defend Beaufort from the Spanish and French. 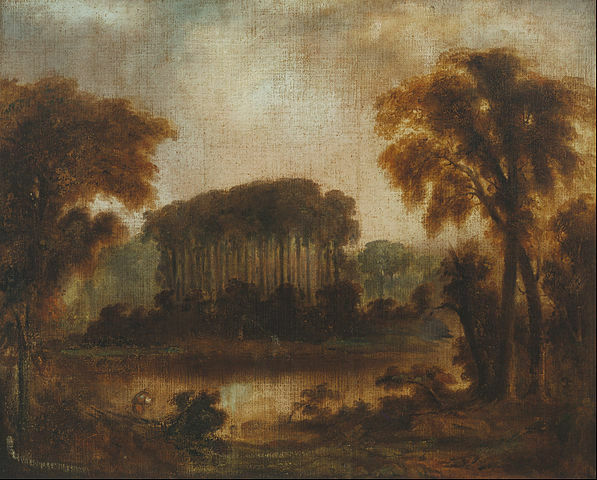 As a reward, the king granted him ownership of the island. He then settled down and raised a family. In 1854, the island broke into three islands due to storms and erosion, thereby creating Pritchard’s and Capers Islands. 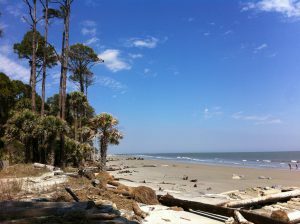 Fripp Island was said to be the site of some of the pirate Blackbeard’s treasure, although none of it has ever been found there. The island features prominently in Pat Conroy’s novel Beach Music, in which it is referred to as the Isle of Orion. The island’s private gated community had a population of 887 in the year 2,000 and has been featured in the movies Forrest Gump, and The Jungle Book. Inland from Hunting Island and Fripp Island is the island of St. Helena, the center of Gullah culture. 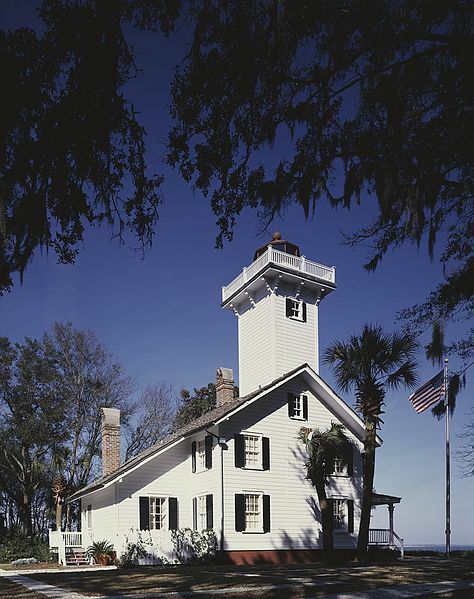 St. Helena, along with Daufuskie Island, the southernmost of the South Carolina Sea Islands, takes you back to a simpler, quieter time. The Penn Center was the first school for freed slaves. The school and the nearby York W. Bailey Museum are the top destination for the exploration of the fascinating Gullah culture. Formerly called Frogmore, St. Helena is also the inspiration for the children’s program Gullah Gullah Island. 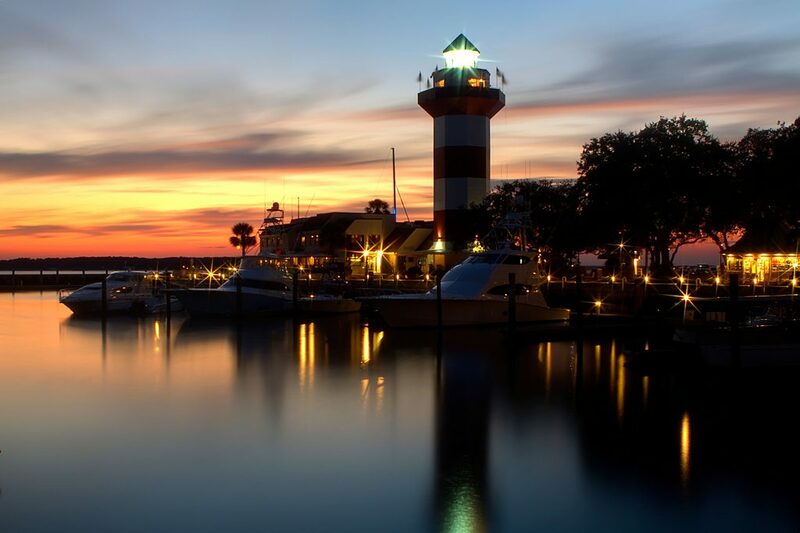 Hilton Head, which was named after English sea captain Sir William Hilton, iw one of the USA’s top resorts. With a population of only 37,000 residents, it receives millions of visitors yearly. (In 2004, 2.25 million.) Nicknamed ‘Golf Island’, it was formerly the site of indigo, rice, sugar and cotton plantations. The island started to boom in 1956 when a bridge linking the island to the mainland was built and gained an international reputation soon after the exclusive Sea Pines gated community was established. The 4,000 year old shell rings on the island are a curious attraction and civil war history is also present, as Hilton Head was the center of the Union blockade. But people come to Hilton Head for golf, its twelve miles of white sand beaches and it’s beautiful gated communities, referred to as ‘plantations’. 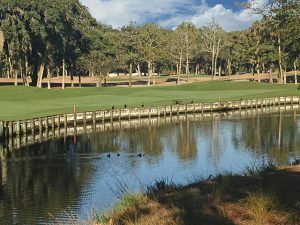 These include Hilton Head Plantation, Port Royal and Palmetto Dunes as well as Sea Pines. There is an arts center, a symphony orchestra and an active choral society. The most popular beach is at Coligny Beach Park, which has swinging benches, a boardwalk and fountains for kids to play in. For a more quiet atmosphere, head to Burke’s Beach. Hilton Head is also popular with the loggerhead sea turtles who come to nest between May and August. Daufuskie is the southernmost and perhaps most mysterious of the South Carolina islands. Accessible only by boat, a highlight is the boat ride itself. Once you arrive, you sense that you have traveled back in time to a simpler era. The Gullah culture that at one time thrived on the island has dwindled down to just a few remaining individuals. Ruins of old buildings, from plantation houses to praise houses and small Gullah homesteads, help fuel the many ghost tales and legends about the island and are reminders of the richness of Gullah culture and history. Pat Conroy taught at a schoolhouse here in the 1960s, and his novel The Water is Wide, which was made into the movie Conrack, is based on his experiences on the island. The island does have a couple resorts and golf courses, but most of the island is undeveloped and unincorporated. There is plenty of nature, including bald eagles, and plenty of quiet. The natives are friendly and there are two historic lighthouses. Then, if you have had enough quiet, you can head to one of several popular beach bars for some fresh seafood and killer frozen drinks.